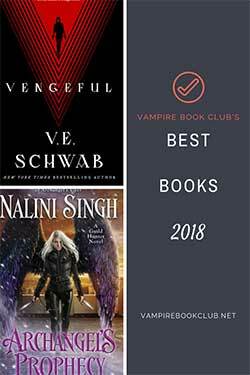 Note: While review will be spoiler free, it does make reference to previous books in the series.If you haven’t started yet, check out VBC’s review of Moon Called. I’m always impressed with the Mercy Thompson series. It’s like I forget how good the last book was and get blown away all over again by each new release. 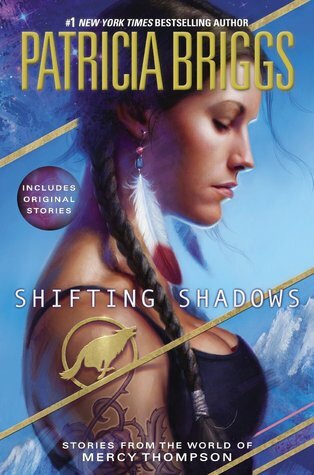 Shifting Shadows contains ten stories set in Patricia Briggs’s Mercy-verse. Most of them feature supporting characters or ones that are just mentioned briefly in the series. Six of the stories have been published before in other anthologies, most notably ‘Alpha and Omega’, the story that started the spin off series of the same name. I’ve read all of those before, so for my review I’m going to focus on the new material. ‘Silver’ takes place over many years, while Bram and Samuel are turned into werewolves and enslaved by Bram’s mother, a witch. During that time, Samuel also met Ariana. When she’s introduced in Silver Borne, we learn that they had a relationship long ago that ended badly. 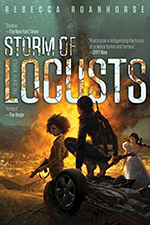 (Reading this story made me want to go back to that book to see how they got back together, but there’s actually an extra scene at the end of the anthology that answers almost all of those questions.) I don’t know that I would have started the book with this story, even though it’s first chronologically. It’s slow-paced and sad, not to mention long, and had me feeling like it might take weeks to get through this book. Despite that, I did think it was really interesting to see Bram before he was the Alpha and heartbreaking to see everything that Samuel went through on top of the events in Silver Borne. ‘Roses in Winter’ features Kara, a 13 year old werewolf who’s mentioned in Blood Bound, and Asil, one of my favorite members of Bram’s pack. It gives some insight into how the werewolves are changed within the pack and how Bram’s leadership has changed things for the better. It also highlights the violence inherent in their their nasty, brutish and sometimes very long lives. I loved seeing Asil, the grumpy old man of the wolf pack, bond with the girl. I also really enjoyed his perspective on Bram. ‘Redemption’ features Ben, one of the more damaged members of Adam’s pack. It goes deeper into his backstory in England, where he fled a violent past. Most of the story takes place in his office, where Ben is a Database Administrator. I felt like I might appreciate the humor more if I had ever been a cubicle dweller. But I’ve always thought Ben was an interesting character and enjoyed seeing his point of view. ‘Hollow’ is the only Mercy story in the book, though she makes an appearance in a few others. It takes place after Night Broken as she’s recovering from injuries – which seems to happen to her a lot at the end of her books – and trying to decide what to do about the remains of her business. A woman comes to Mercy outside the garage and asks her to help banish a ghost. The ability to see ghosts is one of Mercy’s skills that doesn’t get used as much, so I loved that it came into play here. I also enjoyed the romance between her clients and I’m curious if Rick and Lisa will show up later in the series. Of the re-issued stories, I think my favorite other than ‘Alpha and Omega’ is ‘In Red, With Pearls’ in which Warren and Kyle battle a zombie. The whole Shifting Shadows collection has reminded me how much I love the Mercy Thompson series and placed it near the top of my re-read list. I thought I read somewhere that one of the stories is told from Adam’s POV? Is that Hollow? I’ve read most if not all of the already released stories in this anthology but it looks like the new stories are well worth the purchase. There’s a deleted scene from the end of Night Broken that is from Adam’s POV. I think it’s worth purchasing just to have all the stories together, but honestly, I would have gotten it from the library and waited to buy it when the PB came out.